The refusal by new Italian interior minister Matteo Salvini to allow the Aquarius- a civilian search and rescue vessel operating in the Central Mediterranean by SOS Mediterranée and Médecins Sans Frontières (MSF)- to dock in an Italian port and safely disembark the 630 people it had on board sparked a humanitarian, legal and diplomatic crisis this week. Whilst Prime Minister Sanchez’ move has been hailed as courageous, Italy’s actions have attracted criticism. A diplomatic row has emerged following French President Emmanuel Macron labelling the refusal of the ship as “cynicism and irresponsibility”. Matteo Salvini responded by asking France to accept 9,816 people promised under the EU redistribution scheme and the French ambassador to Italy was summoned in Rome. Meanwhile, life and death on the Mediterranean continues. 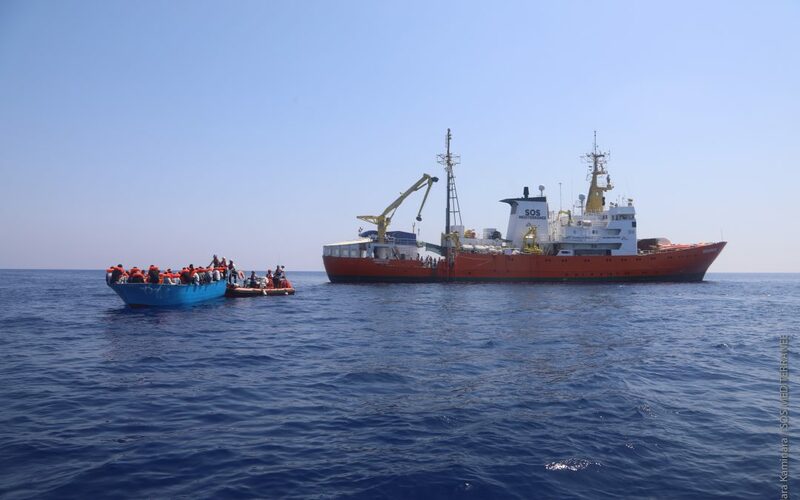 The 630 on board included 120 unaccompanied children and 6 pregnant women, 524 of whom were transferred to two Italian vessels and together with the Aquarius have continued onwards to Valencia. The Italian coast guard ship Diciotti arrived in Catania on Wednesday with 932 people on board, rescued off the coast of Libya. 41 survivors and 12 deceased rescued off the Libyan coast remain on board a US warship as Italy’s ports remain closed to rescue vessels.